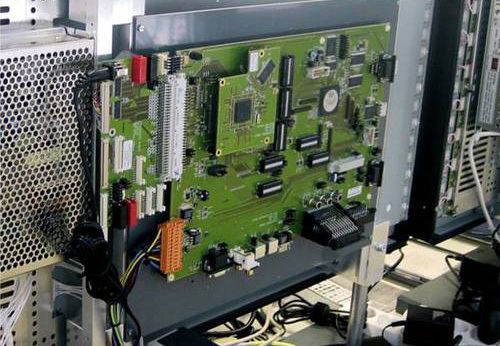 Modern FPGAs enable the integration of many, even very complex digital functions. Some FPGAs embed processors, memory-, Ethernet-, USB-interfaces and other already hardwired functions. This leads to designs in which all essential digital components are integrated on a FPGA. The step to a embedded system or a complete electronic device then often only is comparatively small. We execute this step for our customers. We write software for FPGAs with embedded processors. We develop the schematic circuit diagrams for printed circuit board and carry out the layout. We select enclosures and displays. The manufacturing of printed circuits and the circuit board placement is executed by partnering companies. We assemble or let assemble the embedded systems or electronic devices. We test the devices. So we deliver FPGA based embedded systems and complete electronic devices to our customers.